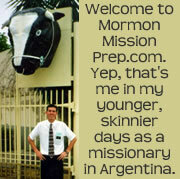 Here is a video excerpt from another good talk from October 2009 General Conference on the subject missionary preparation. This one is from Elder Yoon Hwan Choi of the Seventy and his talk is called I Love Loud Boys. Elder Choi has a thick accent and can be difficult to understand at times, but his message is very relevant to young men and their leaders, so please read along with the transcript of the talk below if necessary. “I would like to tell you about a group of loud young men who came into my life when I was a young bishop in Seoul, Korea, many years ago. These were boys who lived in the neighborhood. Only one or two of them were members of the Church at the time. The boys who were members were the only members in their family. They were all friends, and they came to the church to play and to be together. They liked to play Ping-Pong during the weekdays, and they liked to have fun activities on Saturdays. Most of them were not good students in school and were considered by many to be troublemakers. “I was a young father of two sons, who were seven and nine years old at the time. I did not know what I could do for these young men. They were so rowdy that once my wife, Bon-Kyoung, asked me if we could move to another ward so that our sons could see good examples from other young men. I pondered and prayed to Heavenly Father to help me to find the way to help these young men. Finally I made the decision to try and teach them how they could change their lives. “A vision came upon my mind very clearly. I felt that if they were to become missionaries, their lives would be changed. From that moment on, I became very excited, and I tried to spend as much time as possible with them, teaching them the importance of missionary service and how to prepare for a mission. “At that time Elder Seo, a full-time missionary, was transferred to our ward. He was one who had grown up in the Church and as an Aaronic Priesthood youth had participated in a young men’s singing group with his friends. He met those boisterous boys in our ward. Elder Seo taught those who were not members the missionary discussions, and he also taught them the songs he used to sing. He made a triple quartet with those loud boys and named them the Hanaro Quartet, which means “be as one.” They were happy to sing together, but we all needed “big” patience when we listened to their singing. “Our home was open to the members anytime they wanted to visit. The boys visited our home almost every weekend and even on some weekdays. We fed them and taught them. We taught them the principles of the gospel as well as the application of the gospel in their lives. We tried to give them a vision of their future life. “They sang together every time they came to our home. Their loud sound hurt our ears. But we always praised them because listening to them sing was far more enjoyable than seeing them get into trouble. “Through the years these activities continued. Most of these young men matured in the gospel, and a miracle happened. Over time nine of the boys who were not members were baptized. They changed from loud, rowdy boys into valiant stripling warriors. 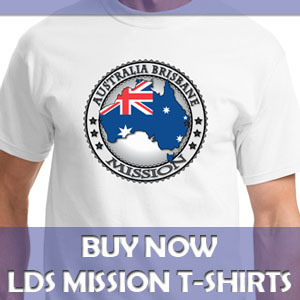 “They served missions, met beautiful young sisters in the Church, and married in the temple. Of course, there were different challenges for each of them as they served missions, attended school, and got married, but they all stayed faithful because they wanted to obey their leaders and please the Lord. Now they have happy families with children born in the covenant.